If you’ve ever admired the serenity of a koi fish pond, then you might be interested to know that our Series 300 Check Valves are able to maintain aeration for these environments. 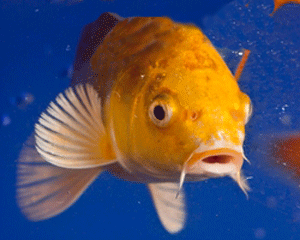 Popular for their colorful appearance and ability to adapt to a variety of climates, koi fish can be found anywhere from homes to a wide variety of businesses including restaurants, hotels, and corporate offices – for anyone that watches the popular U.S. TV show, The Office, you will recall the Koi Pond episode of Season 6. In our experience with koi ponds, a polypropylene plastic, buna-n o-ring, and stainless steel spring (with available opening pressures ranging between 0.11 to 17 PSI) would work great in typical settings. However, it is always important for us to know anything the valve could be exposed to – in case a component needs to be adjusted to fit the design criteria. Series 300 valves are a great choice due to their mix-and-match versatility, which allows an easy connection to a drain circuit or between an air pump and filter. 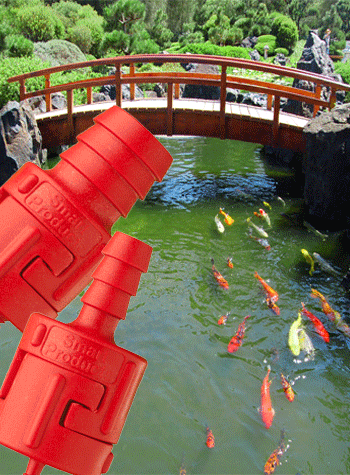 Once installed, koi pond owners and operators can rest easy knowing the valve will ensure precise and reliable flow control of air into the pond. And, like all Smart Products’ valves, it is designed for continuous use over a long period of time.